A day after the launch of iPhone 5s, the fingerprint sensor security program called, 'Touch ID' was hacked by a group of German hackers called 'Chaos Computer Club (CCC).' They managed to unlock the iPhone 5s with the used of the print copy of fingerprint transparent jelly-like sheet. This is the fake print copy of the owner's fingerprint. The man behind the video below performed on how he managed to unlock the iPhone 5s using the DIY fake fingerprint. According to Telegraph site, "The print was first photographed with 2400 dots per inch (dpi) resolution. The resulting image was then cleaned up, inverted and laser printed with 1200 dpi onto a transparent sheet with a thick toner setting. Finally, pink latex milk or white woodglue was smeared into the pattern created by the toner on the transparent sheet. " For the meantime, please bookmark this page now or visit this site more often for you to be updated. You may also share this post to your friends so they may know about iPhone 5s Touch ID 'hacked'. 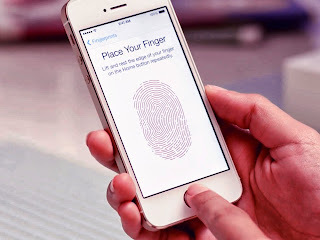 Comments or suggestions about "iPhone 5s Touch ID 'hacked' by a group of German hackers - fingerprint sensor system" is important to us, you may share it by using the comment box below.